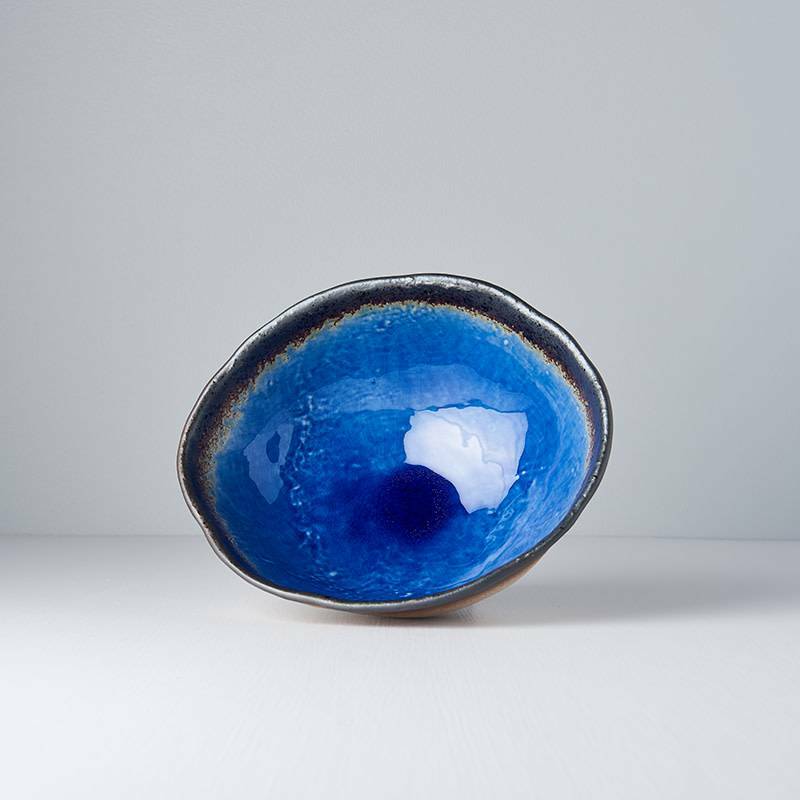 Cobalt Blue Collection is like staring into the bottom of the deep blue sea. 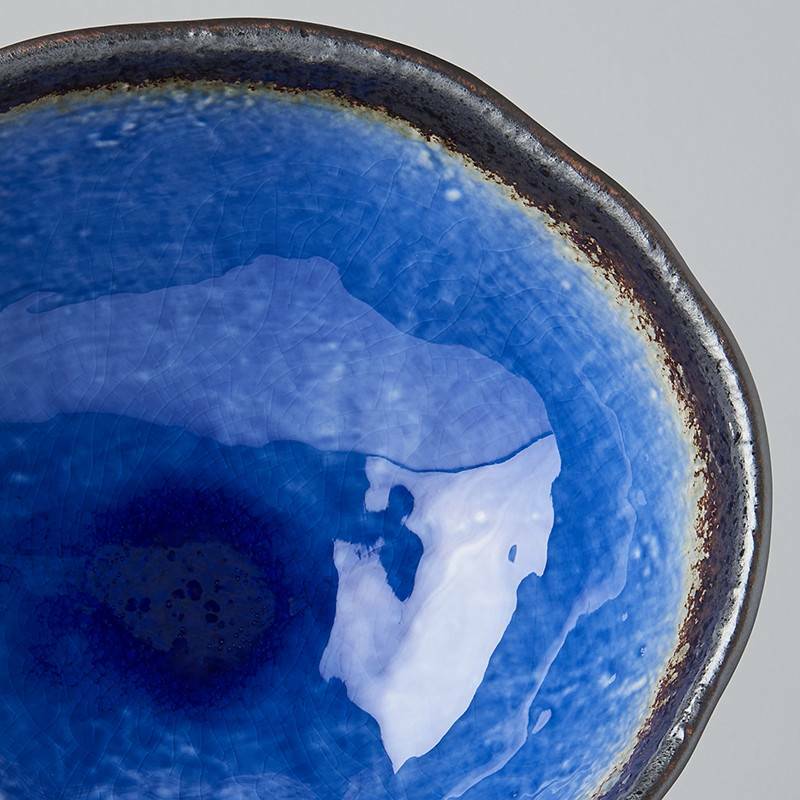 The bowls are finished with a clear glaze in the middle covering the blue moving to a black edge unglazed. Each dish is unique featuring a handmade finish with the outside of the bowl being unglazed and the edges being uneven. Beautiful daisy blue serving bowl, 21.5cm has an uneven, free-flowing rim, combined with a fabulous bright blue flower motif set on a white background. 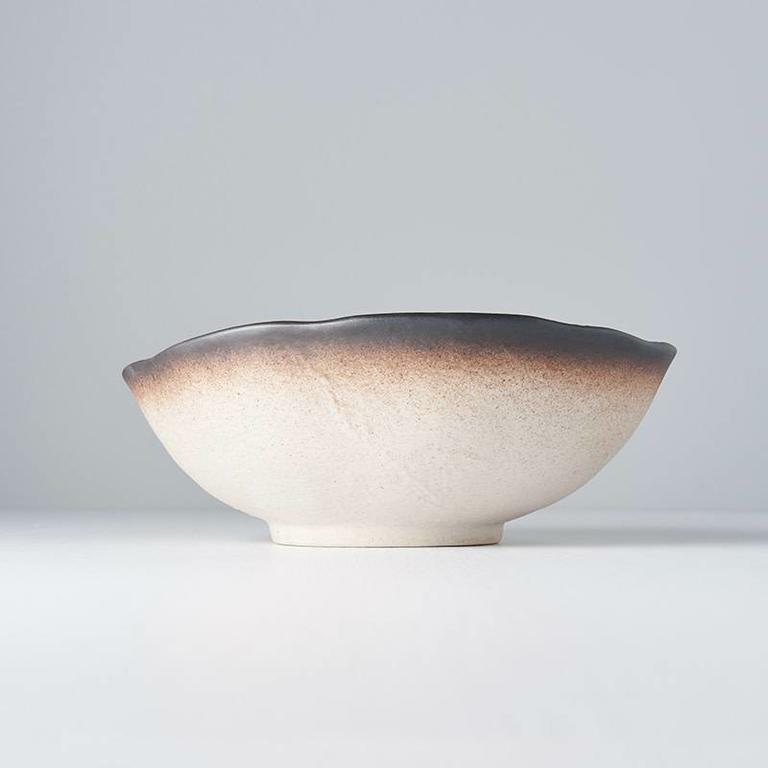 Teacup or sauce dish with a gloss glaze on the inside and a matt finish on the outside, 5.5cm wide. 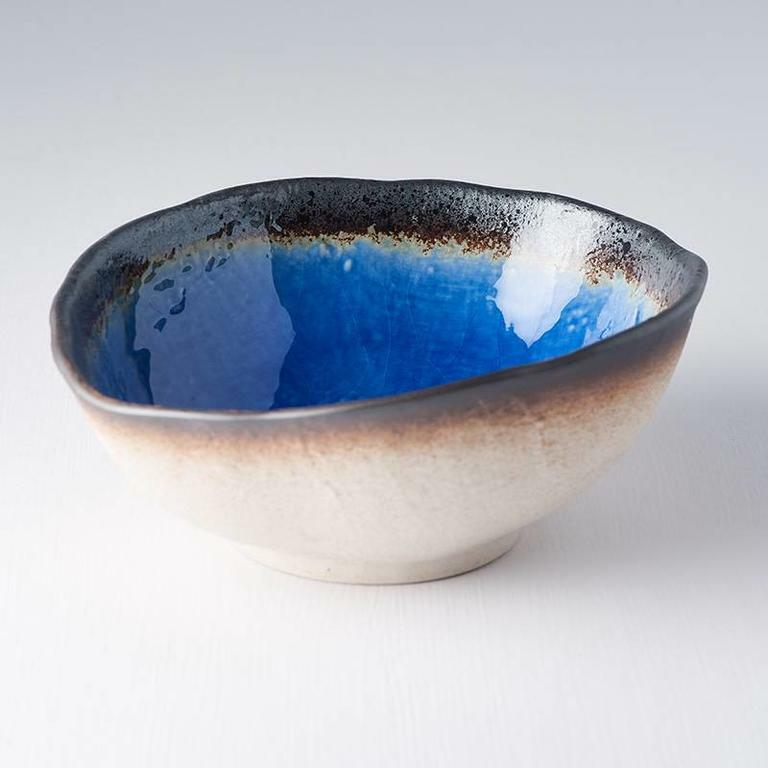 Uneven edged bowl, 15cm, deep blue centre finished with a clear glaze in the middle moving to a black unglazed rim.